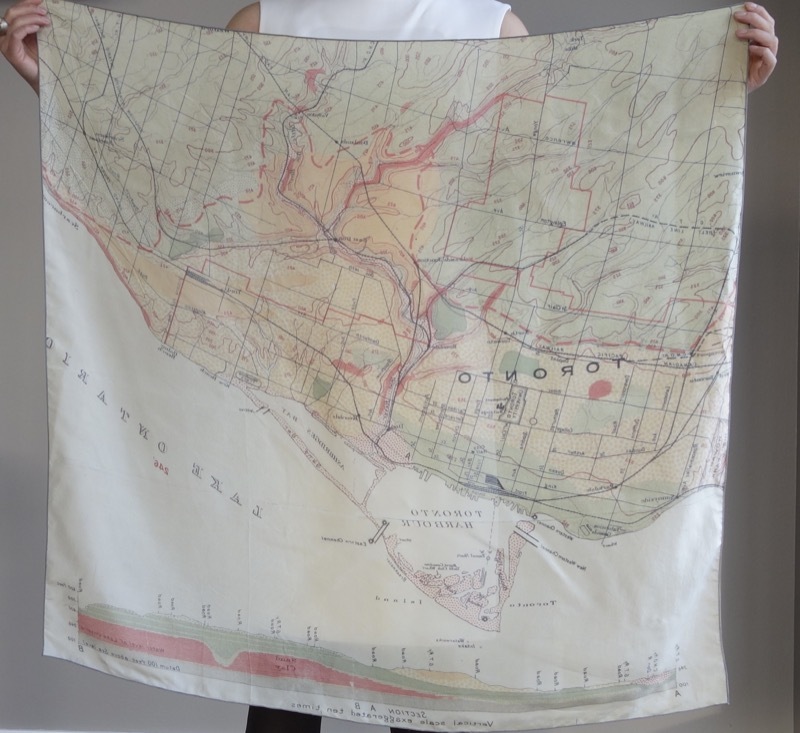 Wanderlust Scarves: Toronto Landscape | Save. Spend. Splurge. 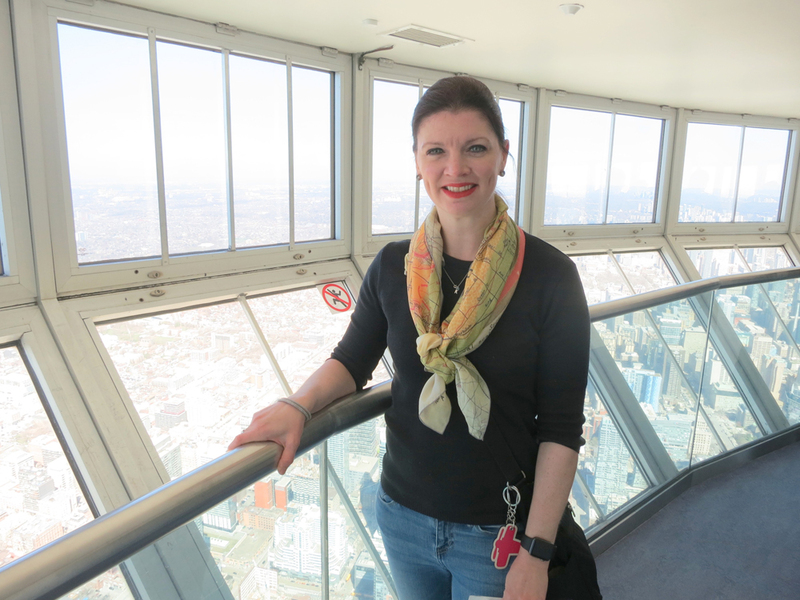 Lovely Kristen (@k1robin2) proudly shows off the way she knots and wears her scarf. Thank you! 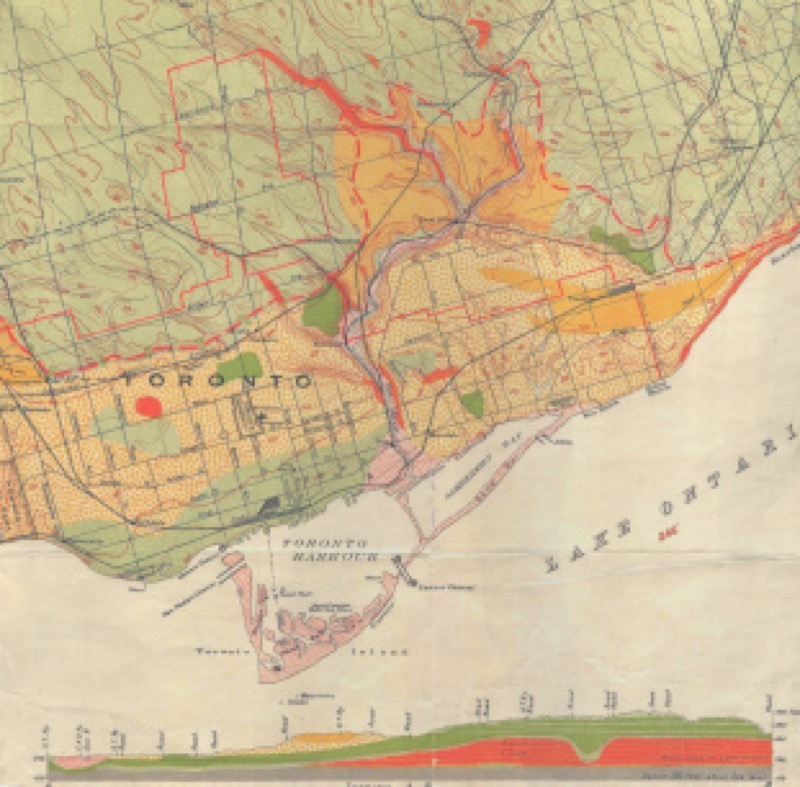 The lay of the land of the city of Toronto is beautiful when rendered in a vintage map style showing the composition of the earth. It reminds me of home in a colourful, friendly way. Quite soft. 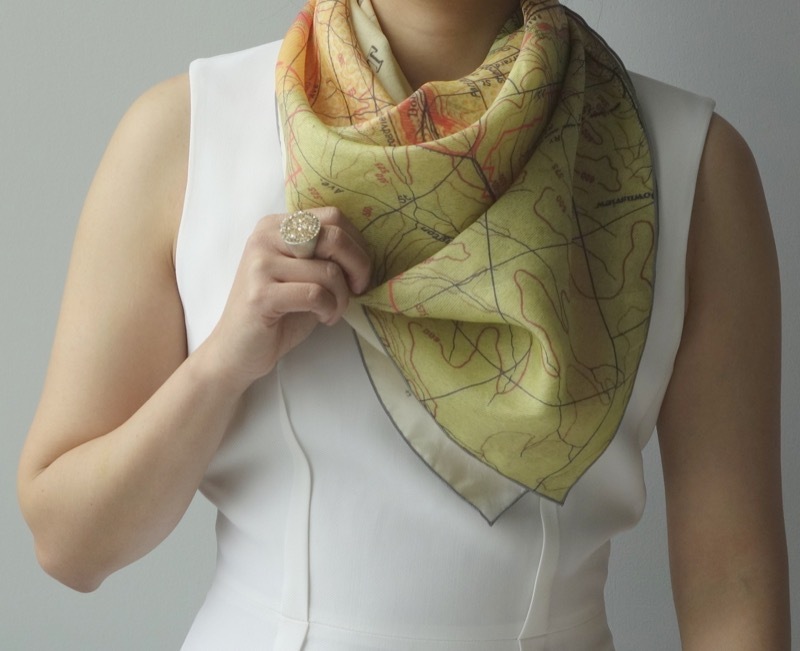 Even though it is completely dyed, the dye is light in colour so you still retain that soft velvety feel of a silk scarf. It will soften up slightly after a few wears. Want one for your very own? 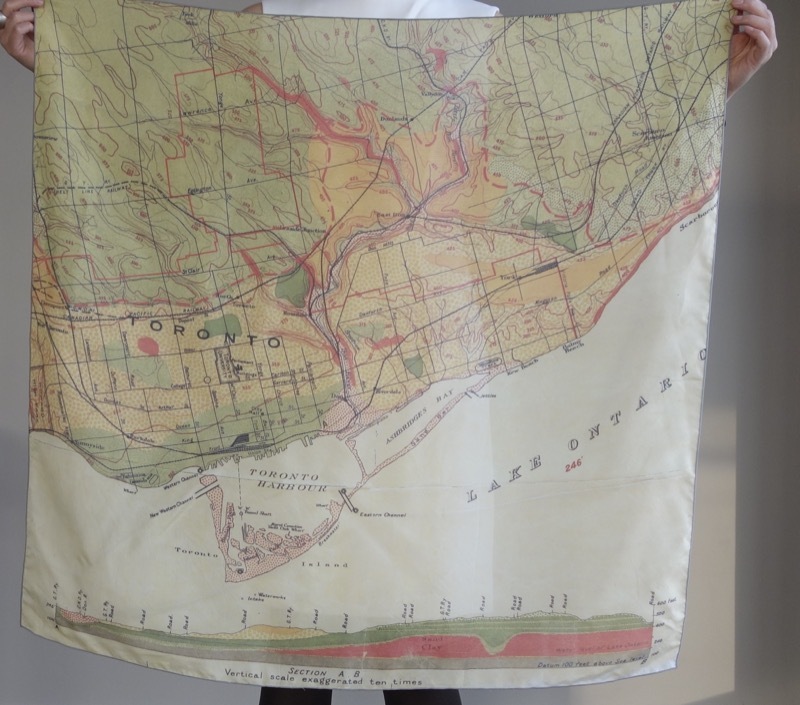 You can order a scarf (or multiple scarves!) 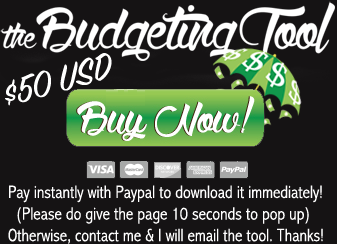 here and I will make one for you and have it out as soon as it is done (free shipping worldwide).